Titchwell01485 532610work VillageTitchwell is probably best known as the home of RSPB Titchwell the renowned reserve which includes reed beds, salt marshes and a freshwater lagoon as well as the beach and woodland around the car park and visitor centre. Facilities include three bird hides, a sea watching platform, two nature trails, and the visitor centre. 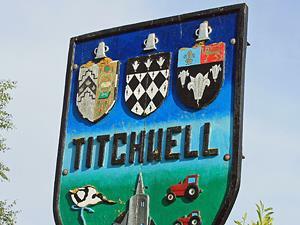 The village itself offers two hotel/pubs Briarfields and Titchwell Manor Hotel. Befitting its location it also has a specialist shop selling binoculars and telescopes. Titchwell is probably best known as the home of RSPB Titchwell the renowned reserve which includes reed beds, salt marshes and a freshwater lagoon as well as the beach and woodland around the car park and visitor centre. Facilities include three bird hides, a sea watching platform, two nature trails, and the visitor centre. The church of St Mary’s, dates from the 11th century. Its major feature is its round tower with its small lead steeple. The village also has an obelisk at its centre, which would have been a marker point and meeting place for travellers and pilgrims.